IMPORTANT INFORMATION FOR SOUTH HEALTH CAMPUS ONLY MEMBERS. With the new Brookfield Residential YMCA at Seton opening just two short blocks from South Health Campus YMCA, we are committed to finding ways to balance the services offered at both locations and to best serve the community of Seton and beyond. Read the FAQ's for further details. Child Minding at South Health Campus YMCA We offer a child minding service each Tuesday, Wednesday, and Thursday from 9:00am-12:00pm. Children 6 weeks - 8 years old may join us while you enjoy the facility pursuing your health and wellness goals. Space is limited. Advanced bookings can be made up to 2 weeks prior. For more information, please call our Member Services team at 403-956-3900. 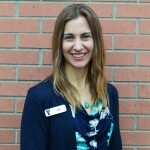 The team at South Health Campus YMCA is headed up by General Manager, Kaia Kjar.